After 15 valuable years caring for people as a PSW, Sheila Courtney graduated from the Practical Nursing program at Lambton College in 2011 and completed the RPN Oncology Ontario College Graduate Certificate from Loyalist College in 2013 (for which she received 1.0 credit towards the de Souza Nurse Associate designation). 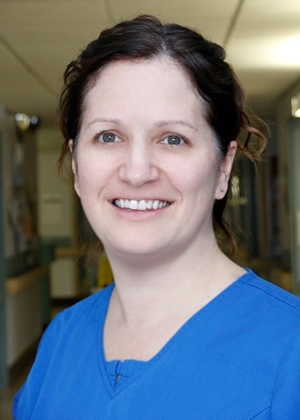 Sheila works as an RPN in rural health, at the Charlotte Eleanor Englehart Hospital of Bluewater Healthin Petrolia, where some of her patients are facing cancer. Sheila provides support at diagnosis, pain management/post op care, and supportive hospice palliative care to her patients and their families. de Souza courses have given Sheila the means and the confidence to provide the best care that she can to all of her patients and families, cancer or non-cancer. She would highly recommend them to anyone interested in pursuing further education in nursing best practices – you learn from the best!